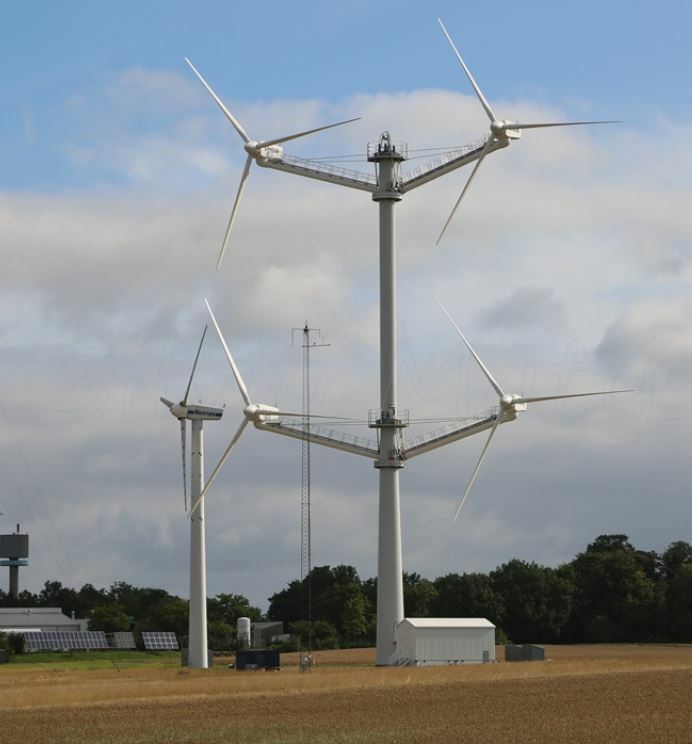 Some time ago I wrote a post about the interesting concept of multirotor wind turbines, including the full scale prototype built by Vestas with 4 refurbished V29-225kW (that is, with a 29 meters rotor diameter). It has been installed in a test site of the Technical University near Roskilde, in Denmark - I believe I’ve been there many years ago for the famous rock festival. After running for approximately 3 years the prototype has been dismantled. The result of the test are still not public, but some information leaked. For instance, an increase in annual energy production (AEP) of approximately 1.5% has been reported. It is due to an improved power curve, allowing the turbine to reach faster the nameplate capacity. I’m not sure this result can be scaled to the current turbines in the market – however for a modern WTG a 1.5% increase is a lot of money. Another counter intuitive fact is that the wake effect (the turbulence generated downstream by the WTG when the wind cross the blades) is minor in a multirotor. Don’t ask me why because I’m not an expert in fluid dynamics. Additionally the load increase is not significant. 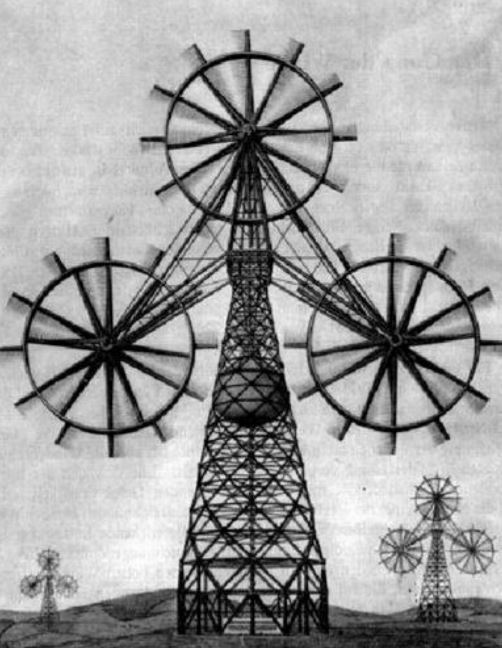 That is good, because it has a direct impact on life expectancy of the turbine and on tower and foundation cost. Moreover noise emission is not significantly higher. This point is especially relevant in Europe or other area with strong constraints in term of noise. 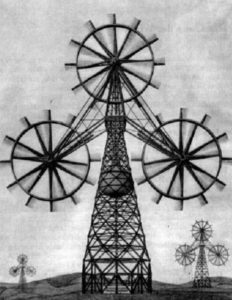 The idea is not new: for instance around 1800 some “twin” mills have been used to pump water in Denmark and there are quite a few similar concepts and international patents dating the first half of 1900 - see for instance the drawing below. 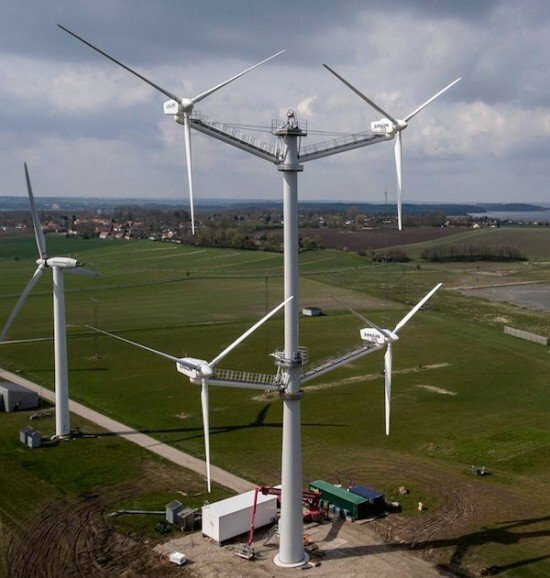 What is interesting here is the size of the company testing the idea – Vestas has installed approximately 1 year ago a multi rotor wind turbine, using old refurbished V29 nacelles equipped with new sensors and electronics. Blades tip distance is less than 2 meters. I’m sure that people who think that wind turbines are ugly will think that this solution is atrocious. For me it’s a quite interesting “out of the box” exercise in a business where rotor diameter has been relentlessly growing in the last decades (V29 is from the ’90… twenty-something years later we have V112 and bigger models). The benefits are self-evident: greater swept area, saving in tower and foundation, less land use, etc. The challenges are equally impressive: a whole new set of loads to consider, a system that can easily become unbalanced, increased turbulence and so on. It's early to say if it will ever become commercially viable but it is for sure an interesting experiment.